← Are You An Executive Or An Expert? The BullsEye CareerTM Program is simply a package of 3 tests and 5 consultations that identify your “best fit” career and in only a month. That’s how long it takes to complete the tests and consultations which reveal hidden information in the results. This unique package of career test is selected from only the top career materials publishers. Consultations are critical because they interpret and synthesize and apply the results to your specific situation. Only career experts are permitted, therefore, to conduct them. your personality – what meets your style needs and utilizes your style strengths. If you took any one of these career assessments (personality, abilities or interests) you would get a list of careers matching only one aspect of you related to career discovery. A career interest test would match your interests to occupations you’d like. A career ability test would match your capabilities or self-described skills with jobs you are capable of performing well. A career personality test would match careers with your personal style. But, each test would miss those careers or occupations that are produced by the other tests. No two tests even produce anything close to identical list of careers. But each test would miss the careers produced by the other tests. No two tests even produce anything close to identical list of careers. 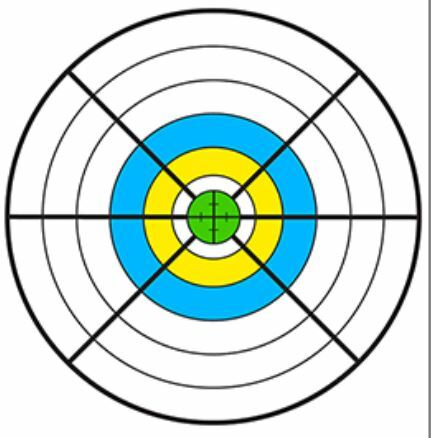 When you take all three of these career tests, and only then, will you obtain the bulls eye career effect. Sure, you get a more complete list of careers matching who you are. That’s what taking more tests will always give you. But only these specific career tests will help you find the single most exacting career match. How? Because, only a few careers will be identical on all three of these special assessments. These identical careers are the ones that fit you in all ways (likes, capabilities and personality). In other words, all three tests produce a list of careers matching an aspect of you. Among these three lists will be a small number of careers are the same. Those that are the same on all three lists therefore “intersect” with each other. 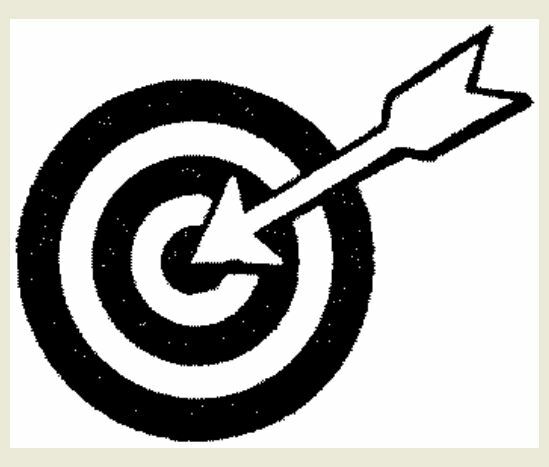 Those that “intersect” most exactly form what I call “the bulls eye” on your career target board. Finding these careers – the ones that fit most exactly in the three most critical aspects of a career search (abilities, interests and personality) is what only the BullsEye CareerTM Program can do. Each line in this diagram represents a the list of matching careers for you as generated by a single career assessment – interest test, personality test or ability test. When you complete one assessment, it creates a “line of careers” that suits you. Let’s use an example to explain this further: An interest test might produce these careers: elementary school teacher, sales manager, non-profit director and bank manager (represented by one line) while an ability test would produce this career line-up: R&D manger, corporate director and non-profit (representing another line). A personality test might generate a list that includes hair stylist, recreation manager, non-profit director, and production line worker (represented by the third line). Notice that only one of the careers on each list are the same in this example. Non-profit director appears on all three lists. The lines representing the career lists “intersect” each other at that one career., namely at non-profit director. Finding the careers at the “intersection point” of all three career list lines is where you find the absolute “best fit” careers. Notice that each career list line is on the career target board. All of them will be suitable in some way for you. But most of them do not satisfy all of the criteria for a career in which you will be succeed, excel and be happy. Only those careers from each test that intersects with careers from the other career tests can do that. Notice also that each line bisects the target from a different angle. This suggests that each test produces a career list that is different and distinct perspective from the other two. Indeed that is the case with the three selected career tests chosen for the BullsEye CareerTM program. The BullsEye Career Program selects only the top career tests, each coming from a different perspective: one test uses objective task modules to measure abilities which includes reasoning, learning, driving, intelligences, relational and specialized aptitudes. The second test uses a subjective scale ranging from very high to very low to measure interests in occupations, school subjects and task. Finally the third test applies a subjective dyad choice (a or b) assessment to measure personal style or personality. Notice also that the lines on the diagram do not run parallel to each other. They, in fact intersect in the green colored zone in the middle. This middle zone is known as the Bulls Eye. This diagram suggests that tests used in the BullsEye CareerTM Program produce career list lines that not completely distinct from each other. This is most important feature about the program. Some careers on each list will in fact intersect with each other. Those not familiar with the nuances of job titles will find even fewer that intersect than an experienced career expert. This is an additional reason for providing career consultations. Notice that the lines intersect in the middle. When you find the same career or occupation appearing on all three of the assessments, you have “career intersection”. Careers that “intersect” or appear on all three tests are depicted by the green zone or “the bull’s eye”. When 3 test produce the same or almost identical careers in their list of career matches, it most strongly indicates that this narrow selection of careers are clearly the ‘ best fit’ for you. As you can see, this approach takes the ‘guess work’ and the ‘trial and error’ of out of career decisions. The BullsEye CareerTM Program does indeed take most of the guesswork out of career decisions. And, with it there is no need for trial and error. You can get it “right” the first time. You can know the right small set of careers for you with this program . . . and know it with certainty. If, however, you are satisfied to simply “hit” the career target board (anywhere in the white area) and are willing to apply some trial and error to your career decision, you need only take one career assessment test. To hit the yellow or blue zones on the career target board thereby taking most of the guesswork out of finding a career, it is recommended that you take at least 2 career tests. But . . . if you truly want to hit the bull’s eye on the career board and eliminate both guess work or ‘trial and error’ from choosing a career, take the BullsEye CareerTM Program. BullsEye CareerTM Program has been called many things over the years: OPTiM’s Best Fit Career or OPTiM’s Complete Best Fit Career. There is also a student version of this program as well: OPTIM’s Career and College Success Tests + College Career Services or OPTIM’s Complete BEST FIT CAREER Package for STUDENTs. Pick any one of these career programs to find your BullsEye CareerTM. And, know what to be with certainty. This entry was posted in Ability Tests, Best Career Tests, Career Consultation, College Career Testing, College/High School, Myers Briggs Type Indicator (MBTI). Bookmark the permalink.